MoffittVent provides continuous extract ventilation for most kinds of industrial buildings, providing high volume ventilation. It is aerodynamically designed to provide continuous weatherproof ventilation. The unit can be adapted to accept sound absorbers. 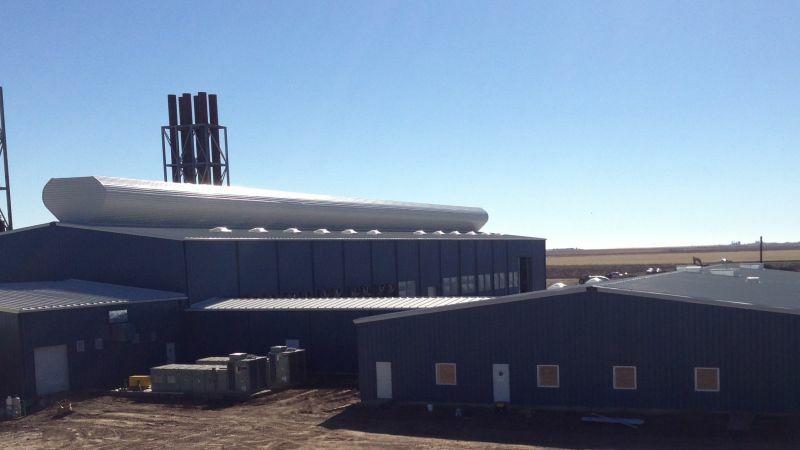 Efficient - MoffittVent is efficient in operation and provides continuous ventilation in all weather. It has 100% free area to face area ratio. The ventilator is not affected by the direction or velocity of the wind - in fact its performance will increase in higher wind conditions. 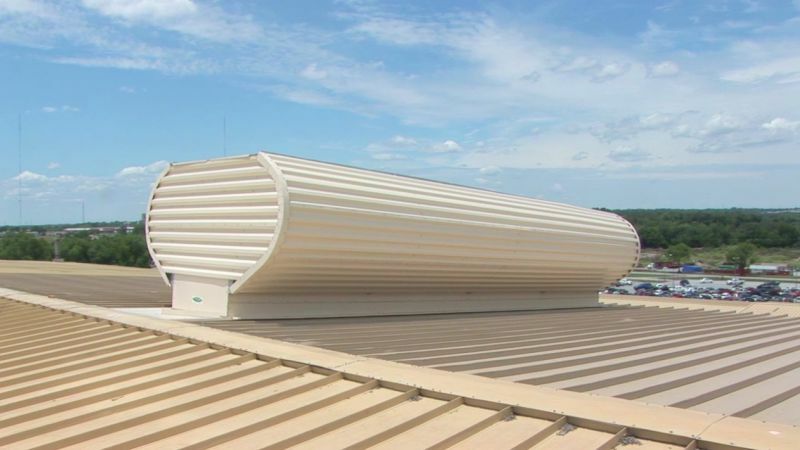 Weather resistant – The ventilator’s design will not allow water entry into the building at any wind velocity. All water is collected by integral drain gutters and downspouts and re-directed out to the roof. The ventilator has been designed to withstand wind speeds as high as 130 MPH and can be easily designed for higher wind speeds if required. Optional damper – An optional manual or motorized damper ensures that air leakage is kept to a minimum when ventilation is not required. Various fixing options - MoffittVent can be installed onto most kinds of roofs, either at the peak, down slope or flat. Easy to install - MoffittVent is delivered to site in breakdown form for easy local assembly. Durable - MoffittVent is manufactured from tough, corrosion resistant materials. Low in maintenance – MoffittVent requires virtually no maintenance. Clear opening natural ventilator, for natural day to day ventilation. From 610mm throat width to 4572mm throat widths.